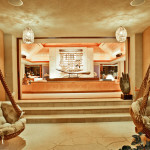 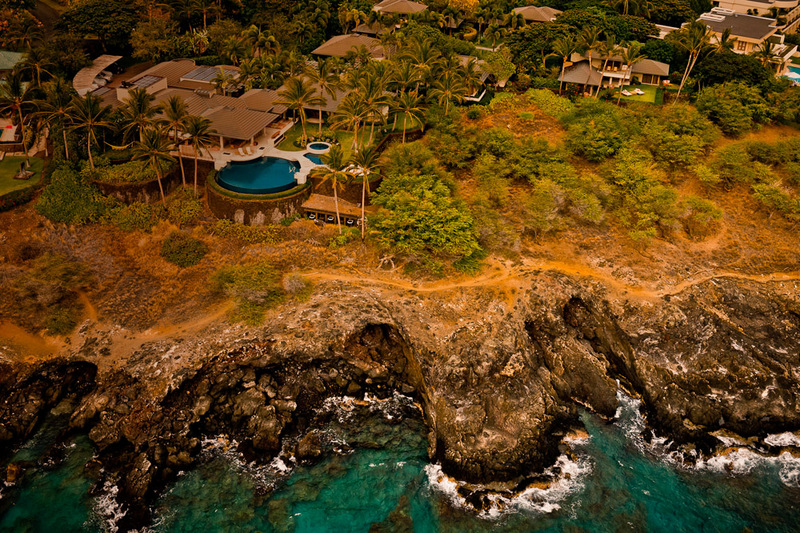 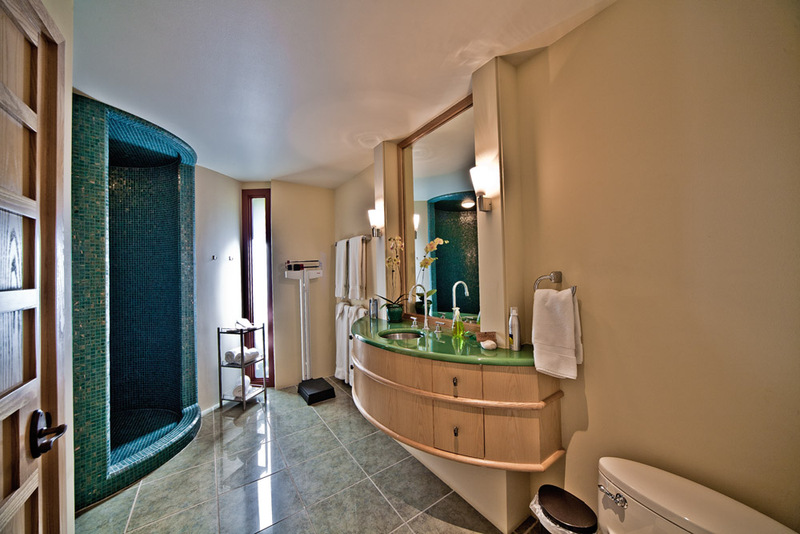 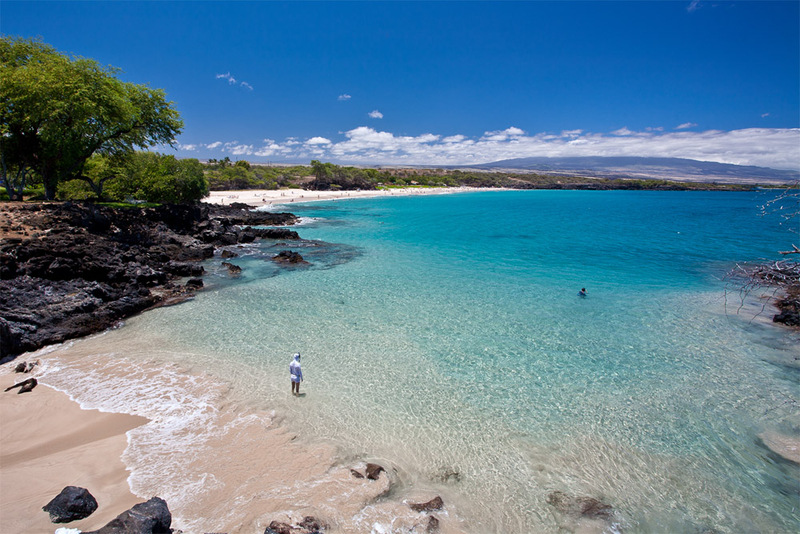 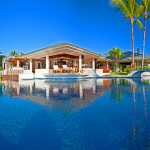 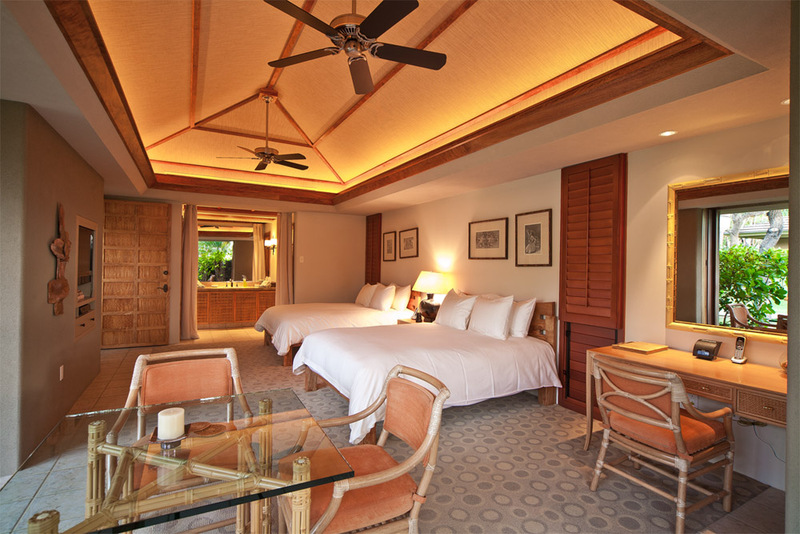 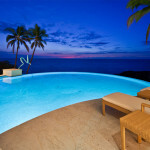 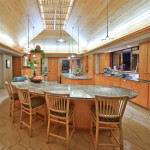 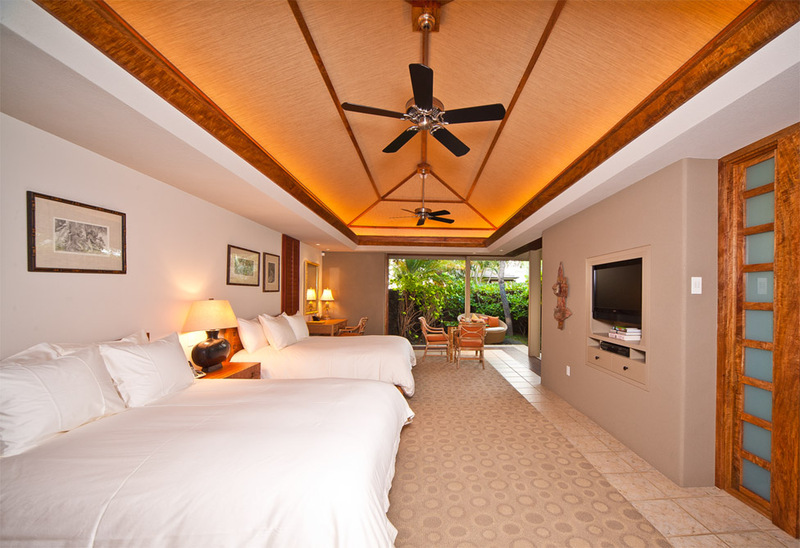 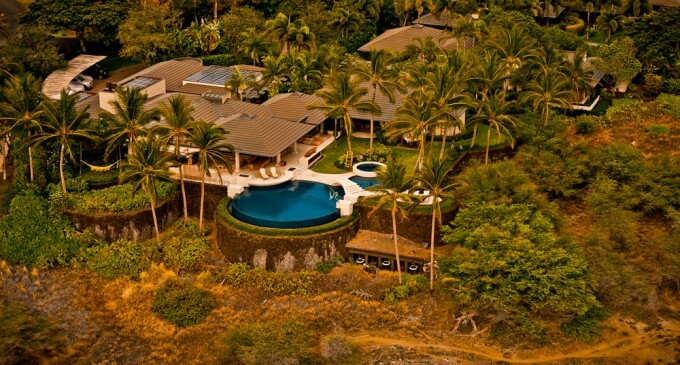 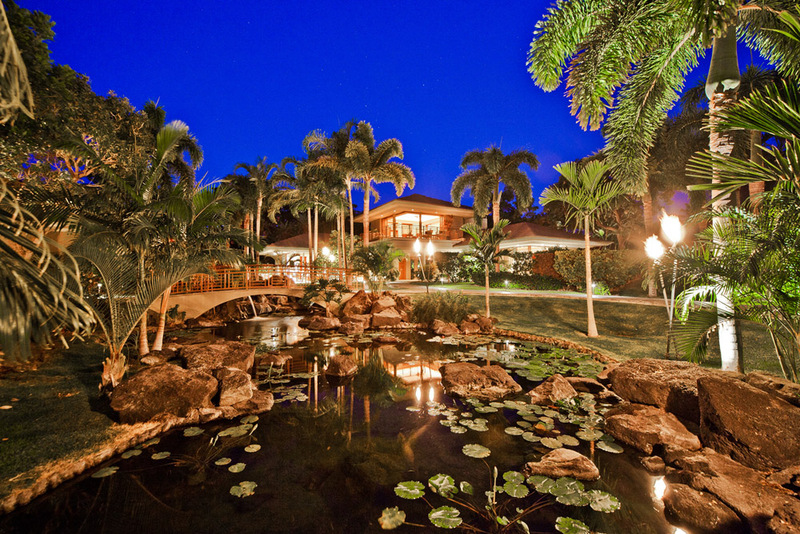 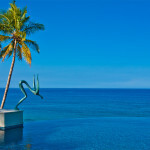 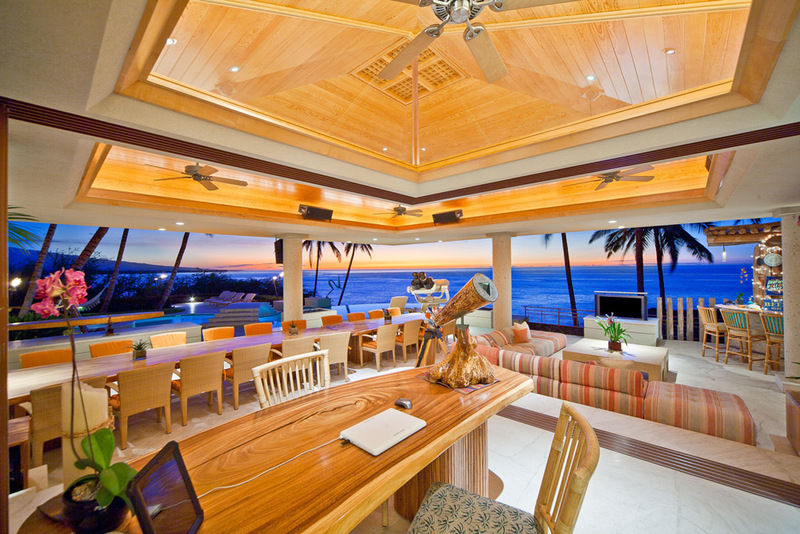 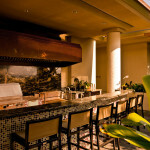 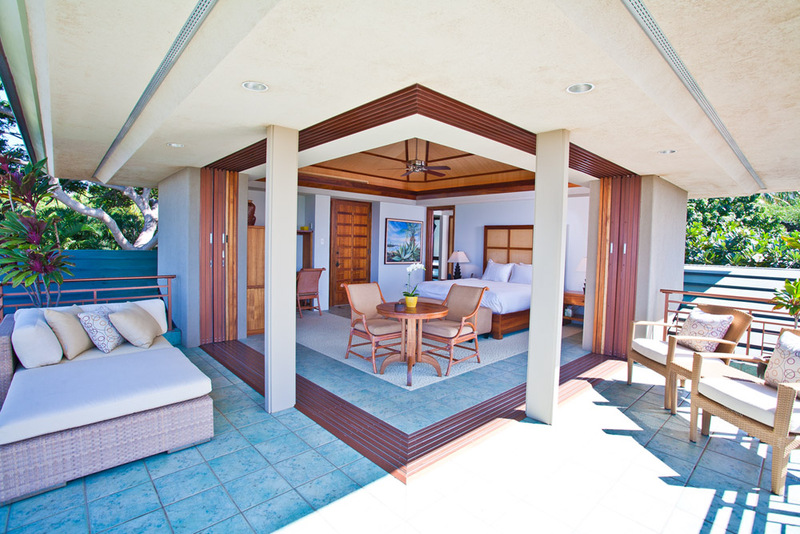 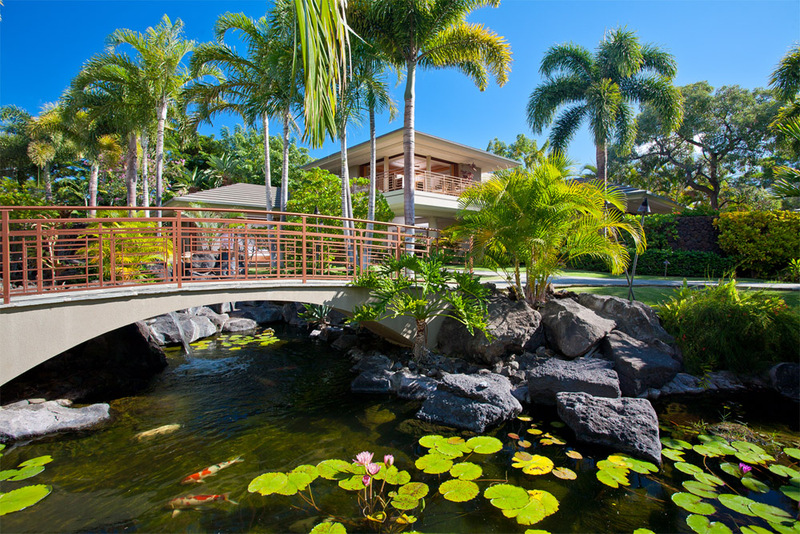 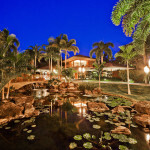 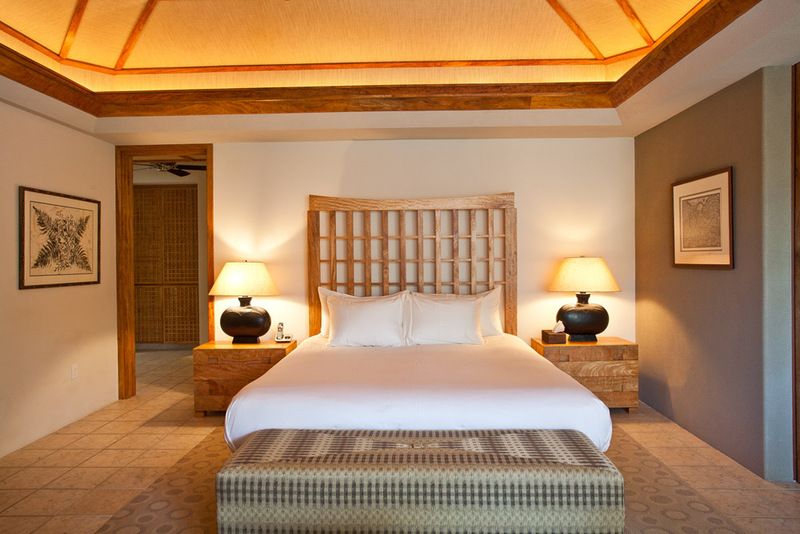 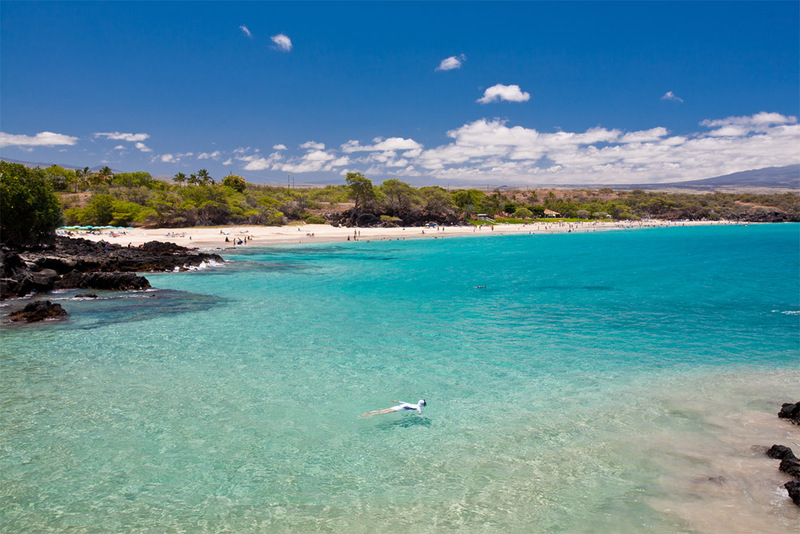 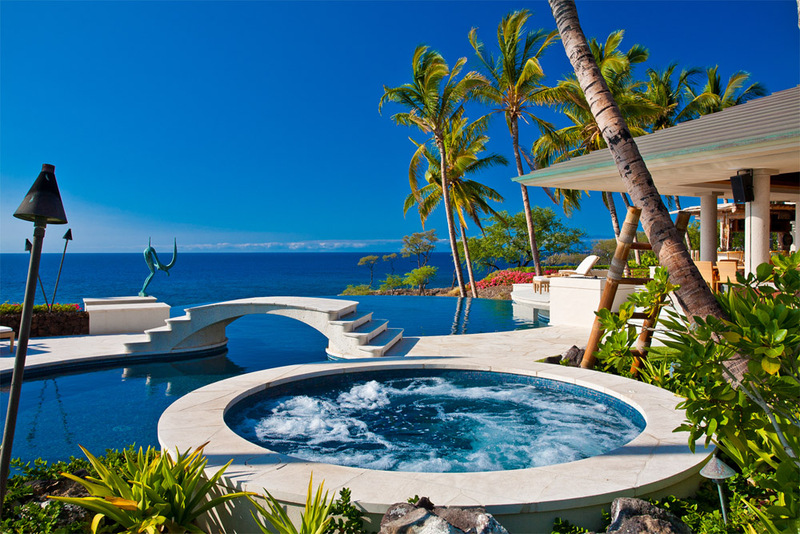 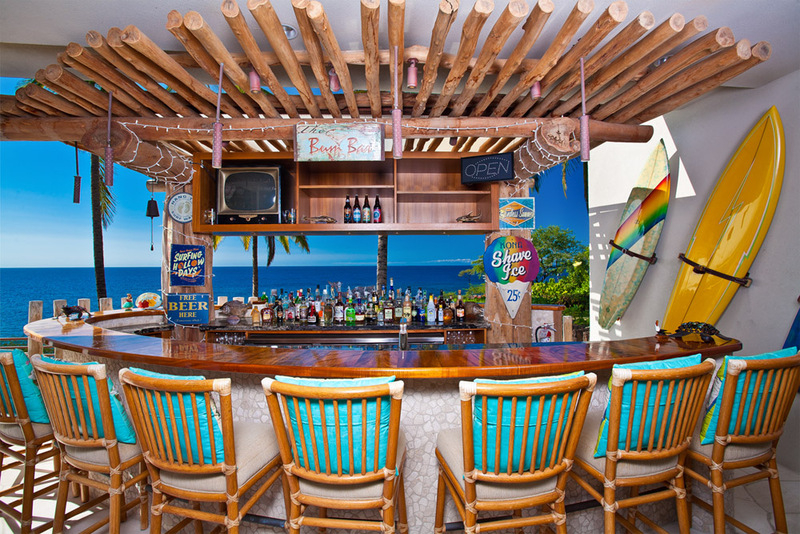 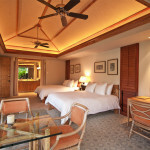 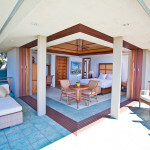 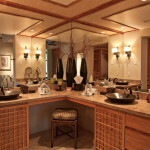 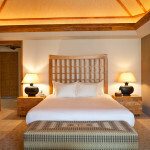 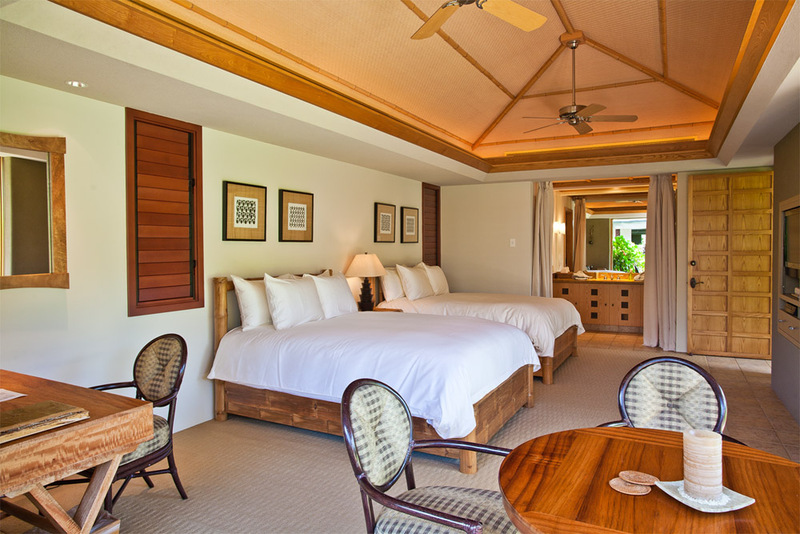 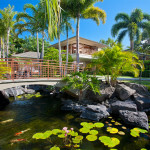 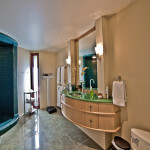 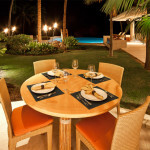 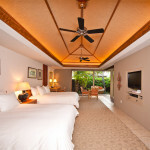 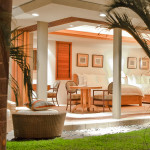 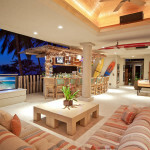 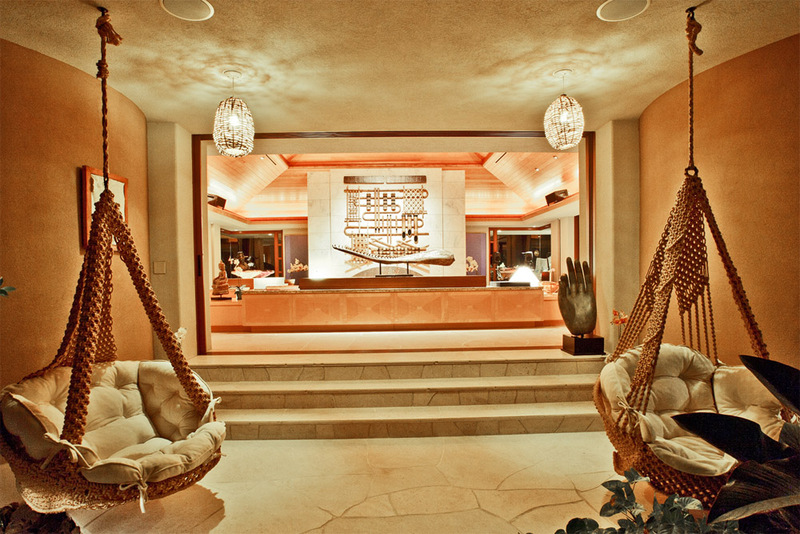 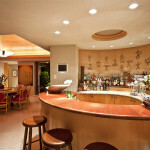 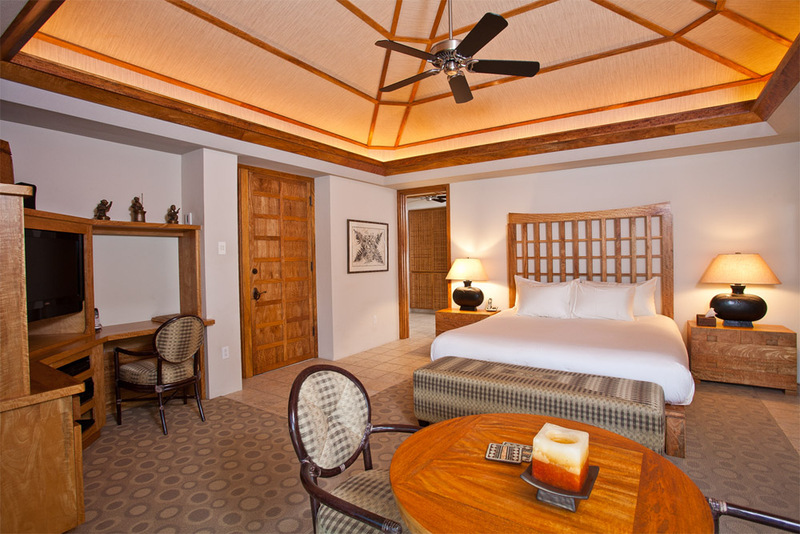 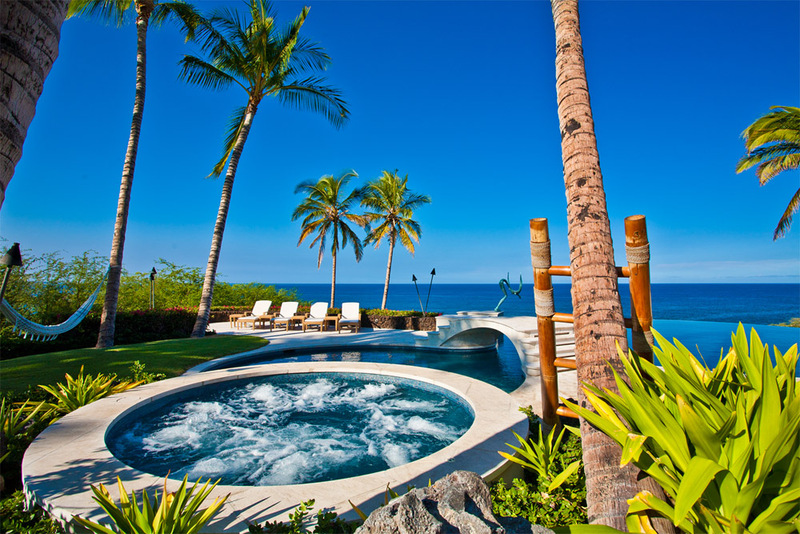 Welcome to the exquisite and exceptional Oceania Estate At Mauna Kea Resort! 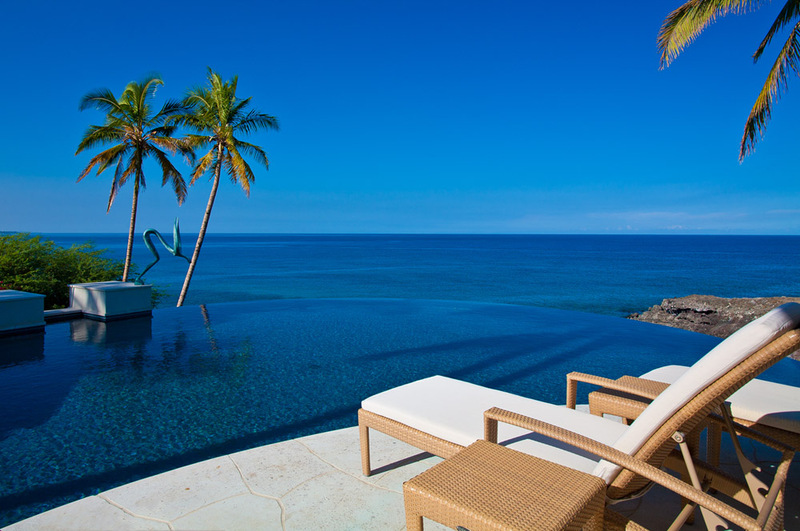 This palatial double-gated oceanfront estate with 10 bedroom suites and 14 baths will sleep up to 32 guests in 4 king beds and 12 queen beds. 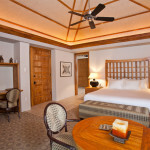 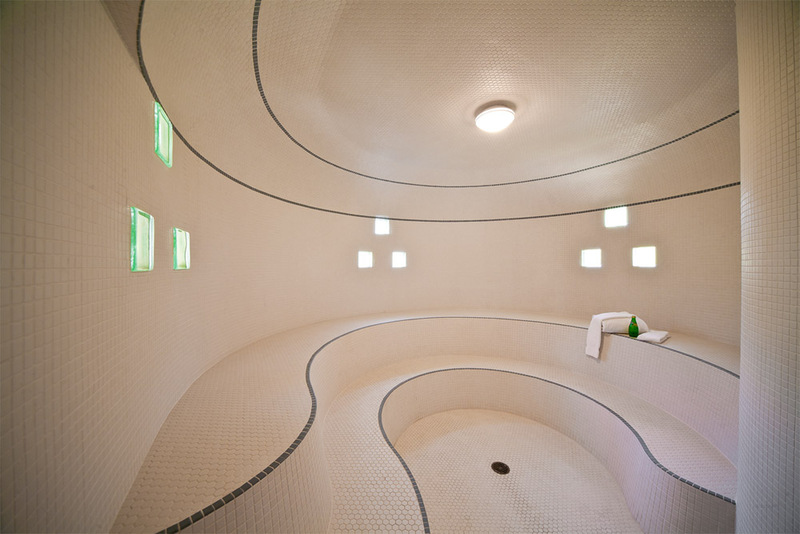 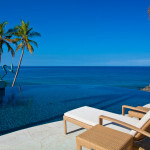 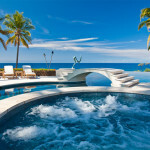 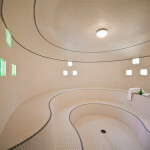 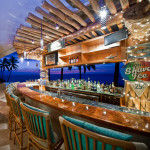 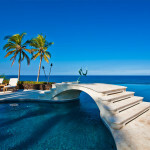 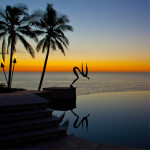 Rates start at $10,000 per night plus taxes for 20 guests during late spring and fall. 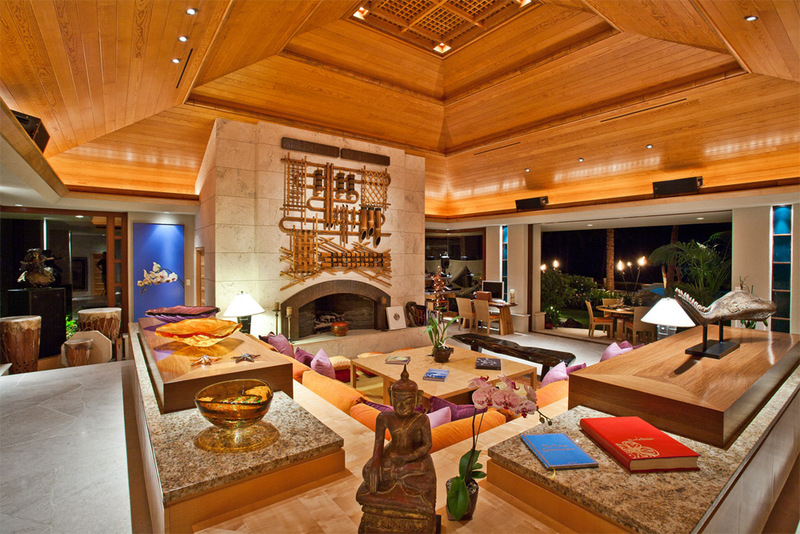 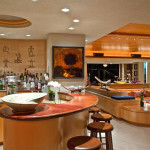 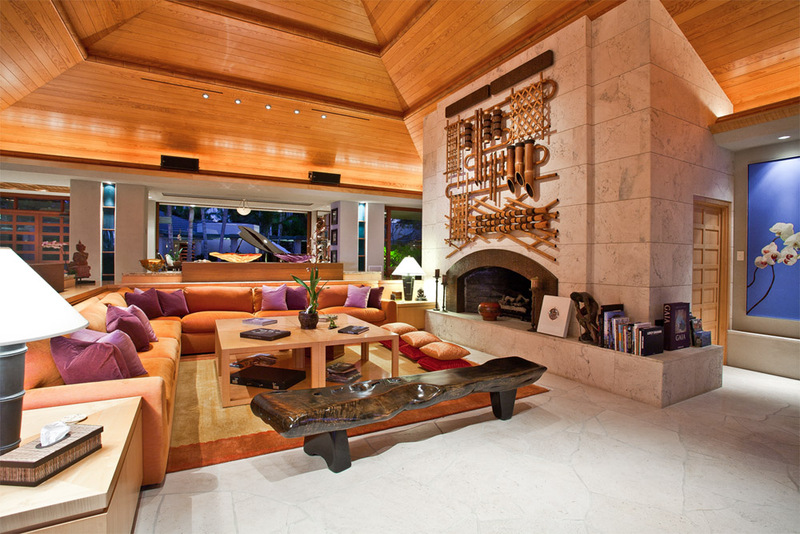 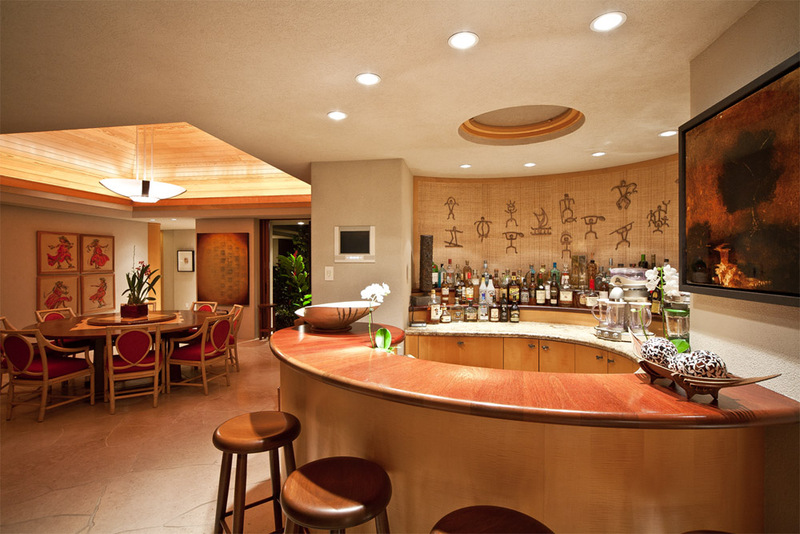 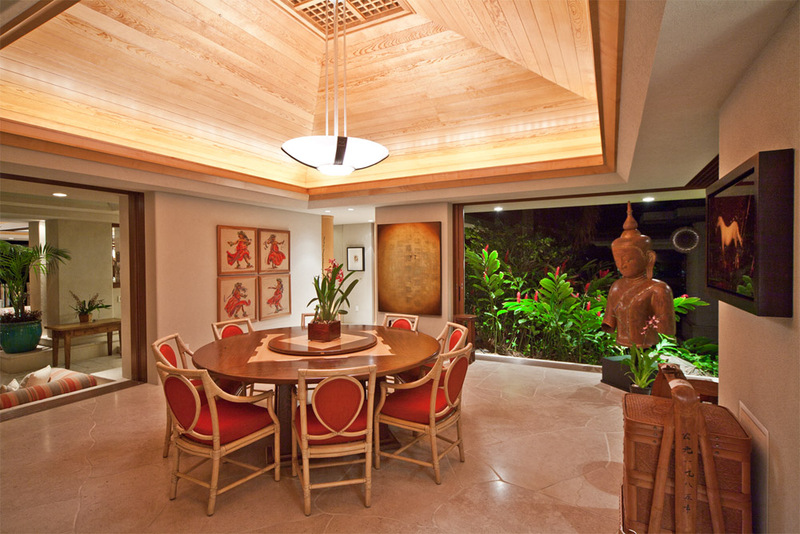 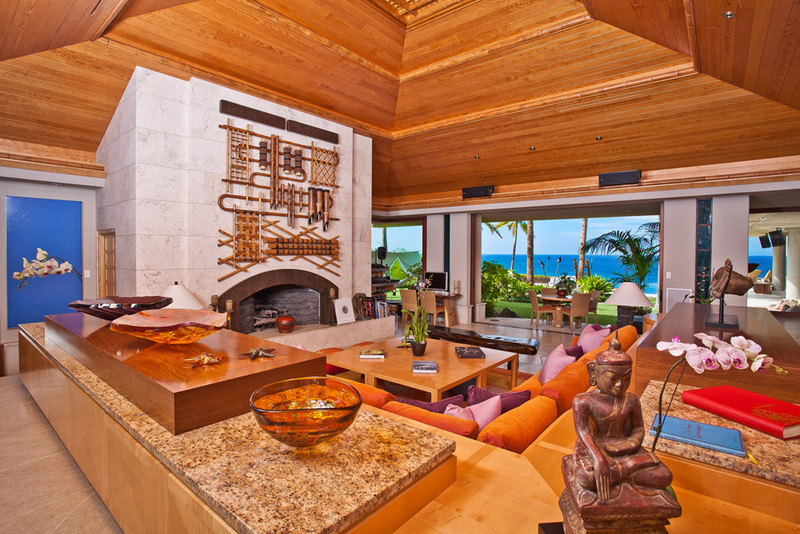 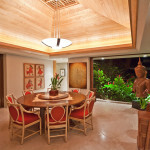 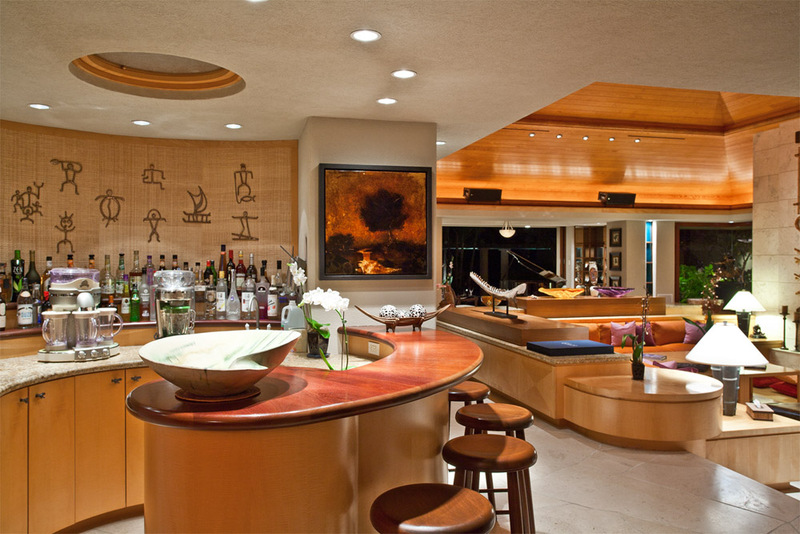 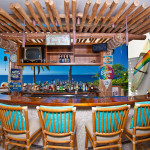 The great room is adorned with museum quality arts and crafts, vintage Hawaiiana art, glass sculptures, hula dance related antiquities, and modern art. 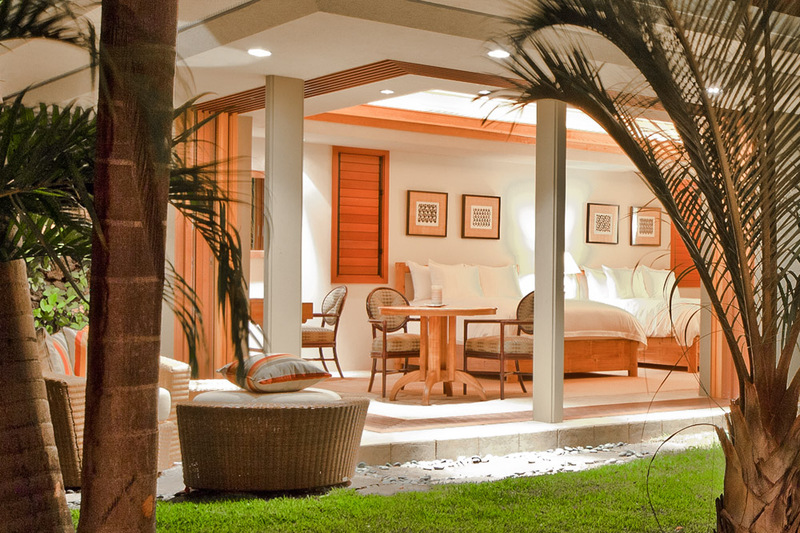 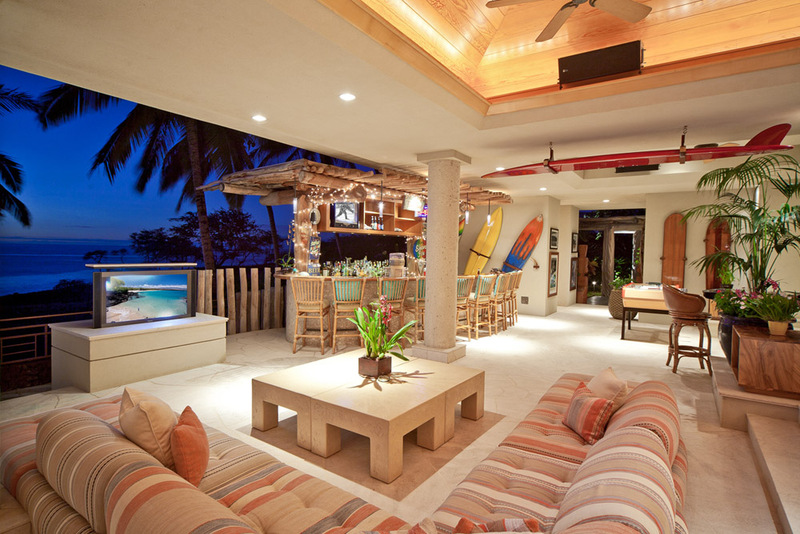 This residence incorporates extraordinary quality decor and furnishings with the latest technologies, to produce a world-class tropical escape. 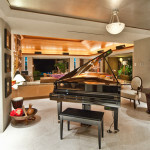 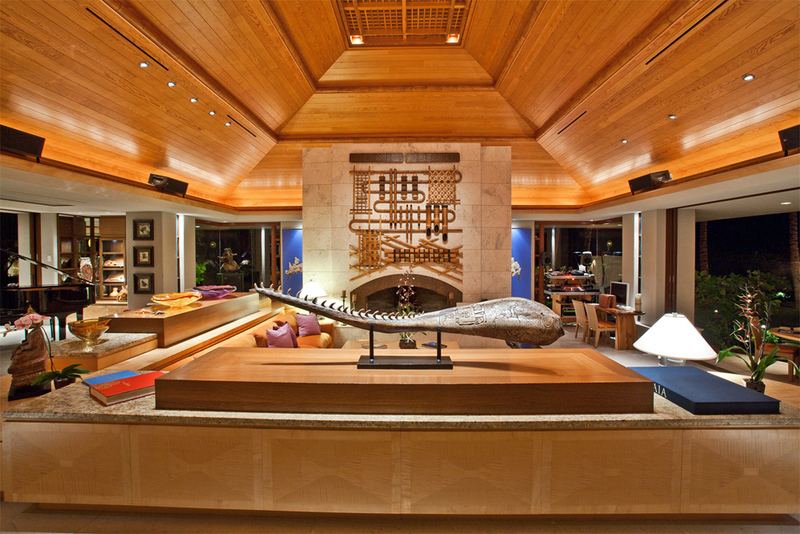 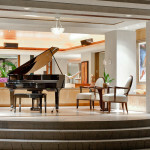 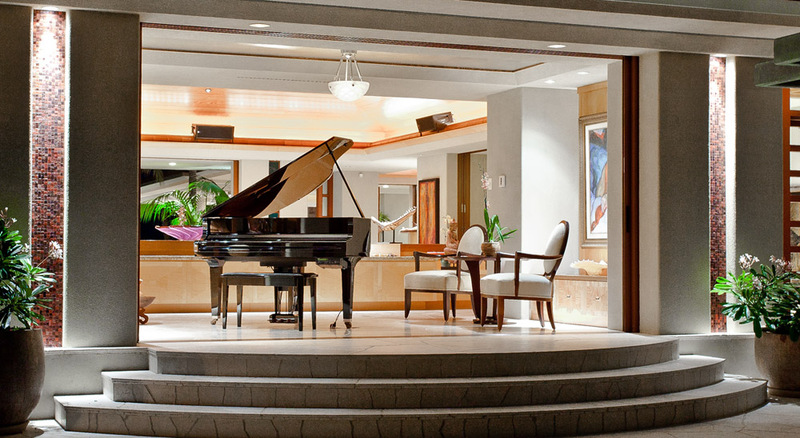 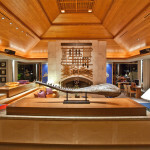 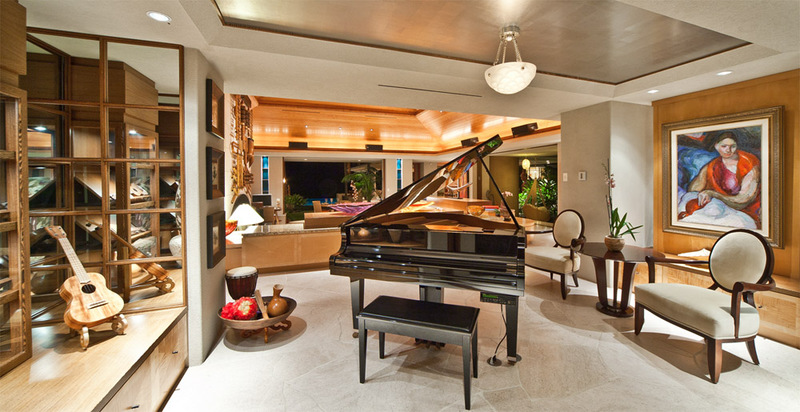 The great room has a Yamaha piano, marble fireplace and a home theater. 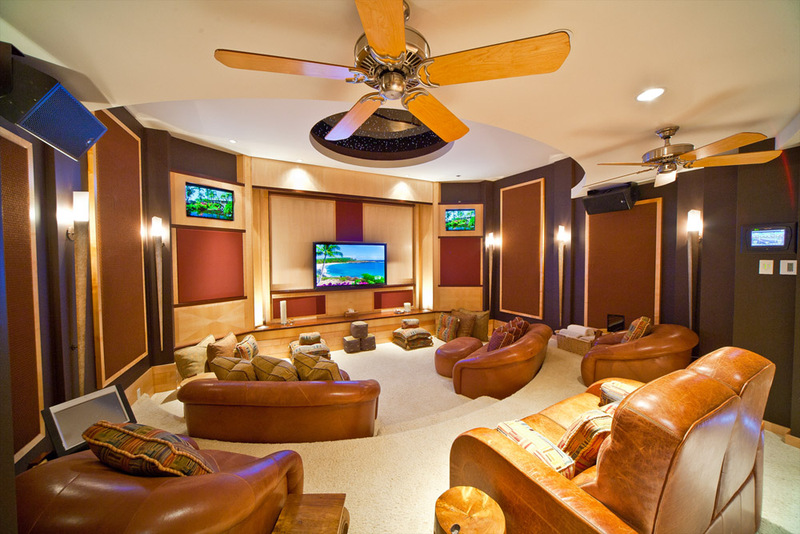 Read more about this impressive theater in the details below. 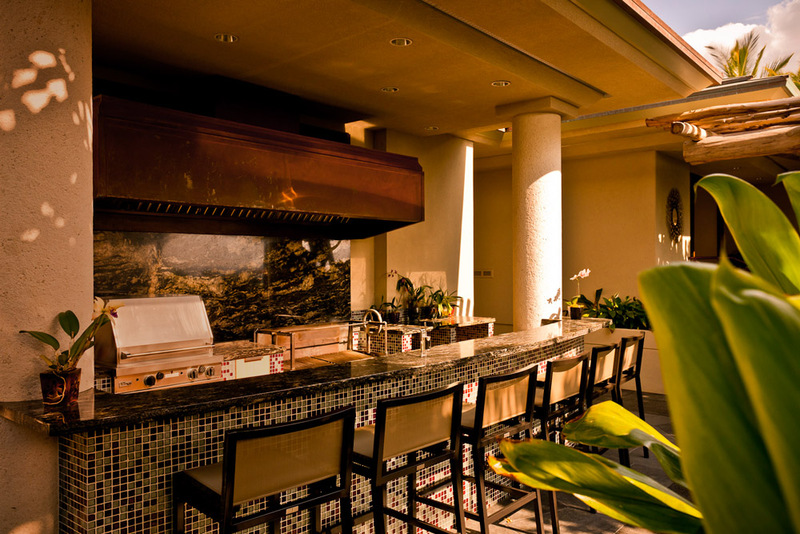 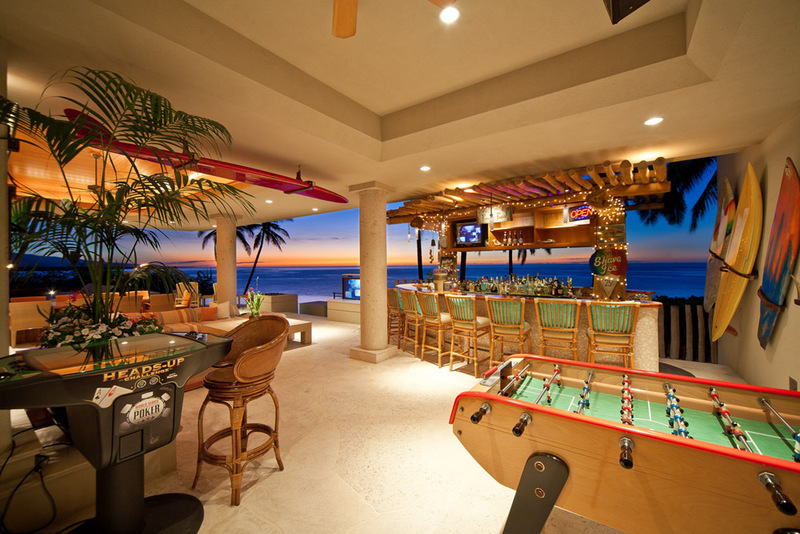 Enjoy the multiple chef’s kitchens, heated oceanfront pool, whirlpool spa hot tubs, expansive fitness center, steam room, multiple home theaters, Yamaha piano, billiard and game rooms, private office, ocean view bar, and more. 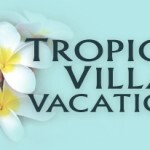 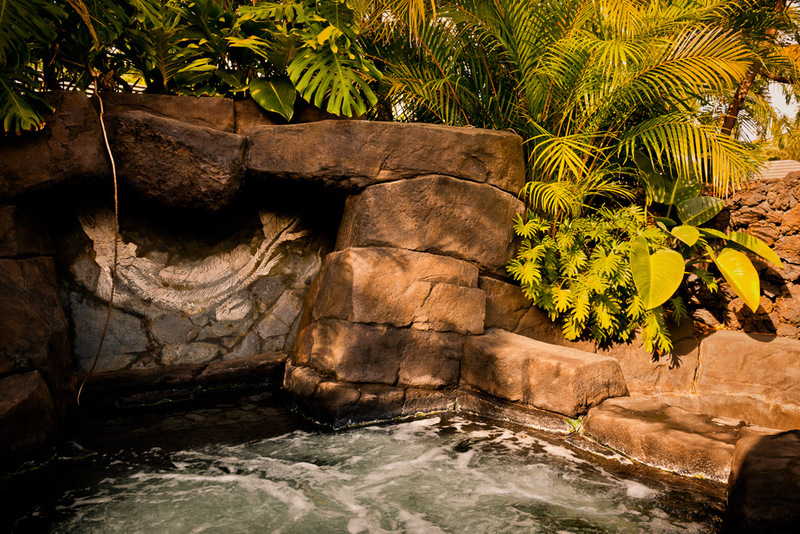 Vacation at Oceania in sublime comfort and convenience where you will be enveloped by lush green gardens full of fragrantly scented exotic plants, colorful blooming orchids, koi fish and lily pad ponds, cascading streams, and blazing tiki torches. 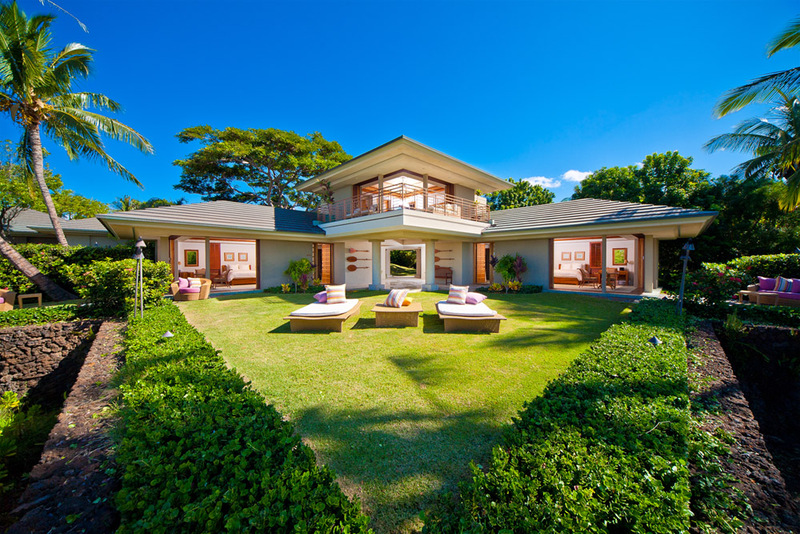 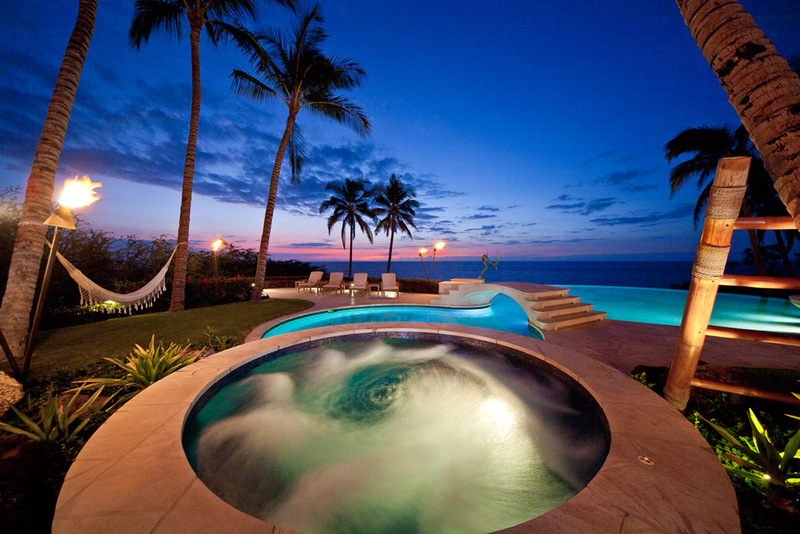 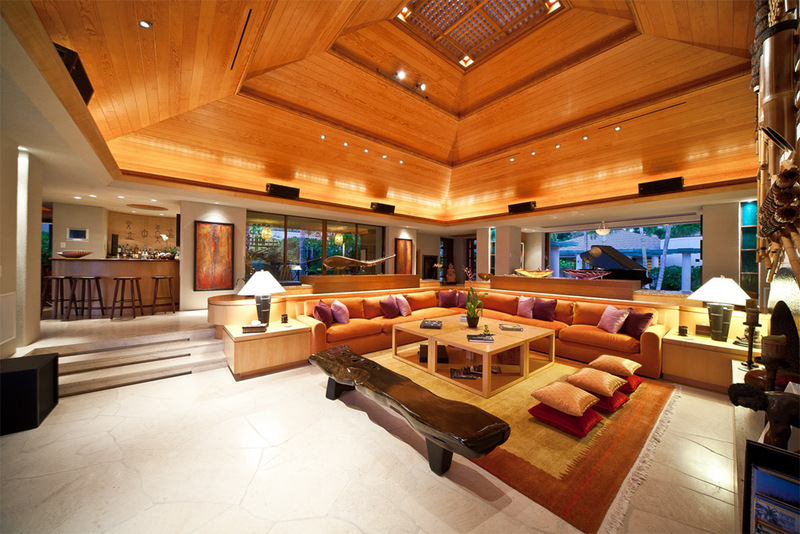 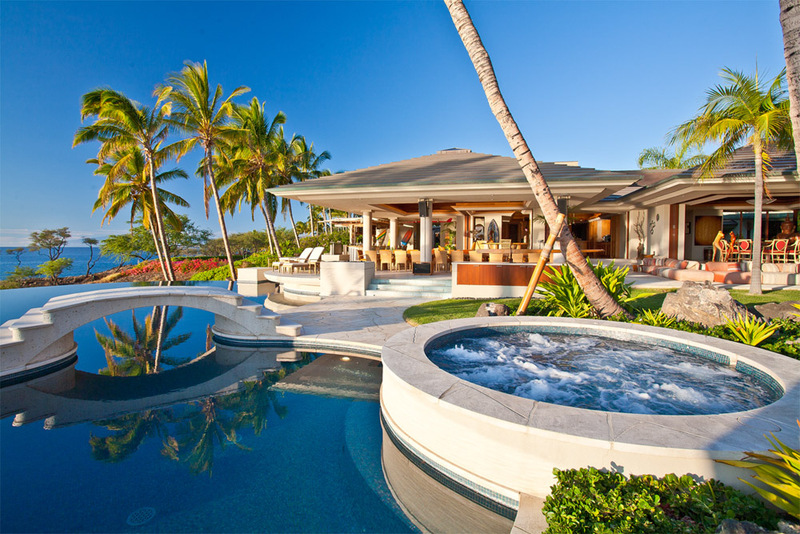 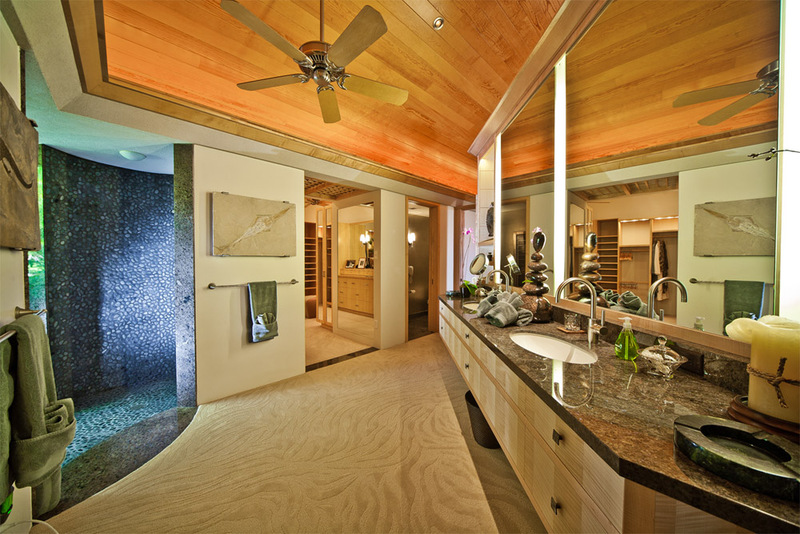 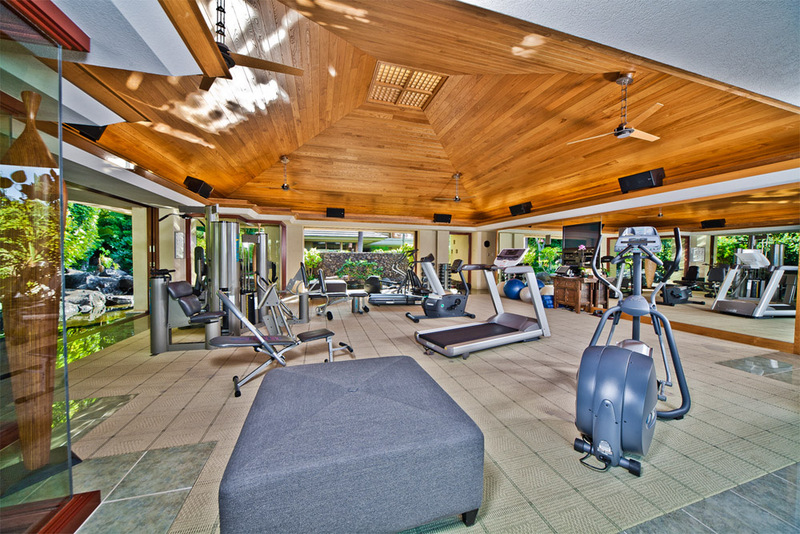 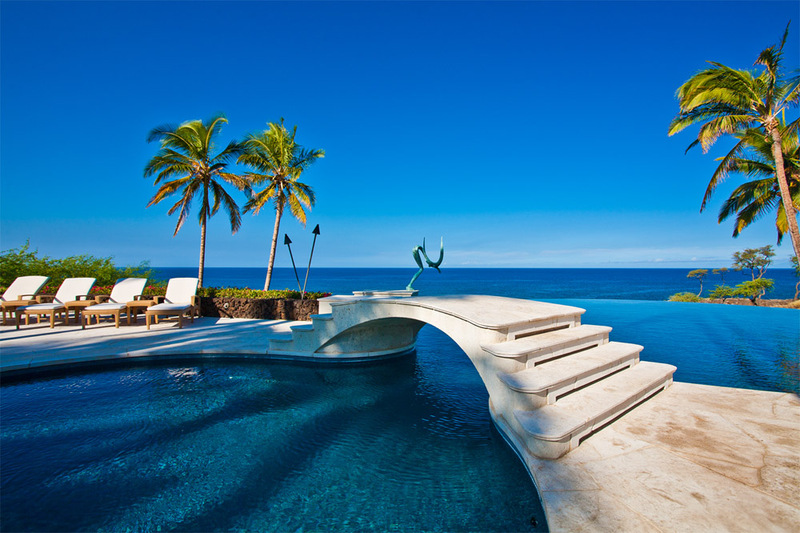 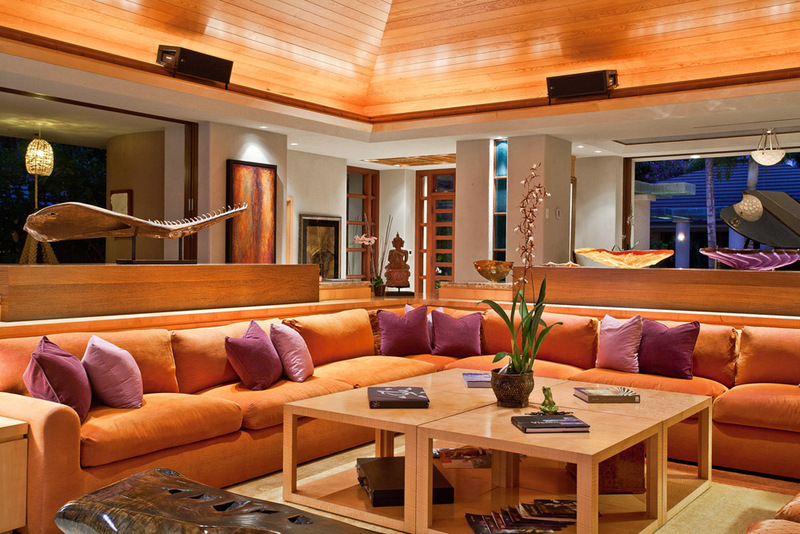 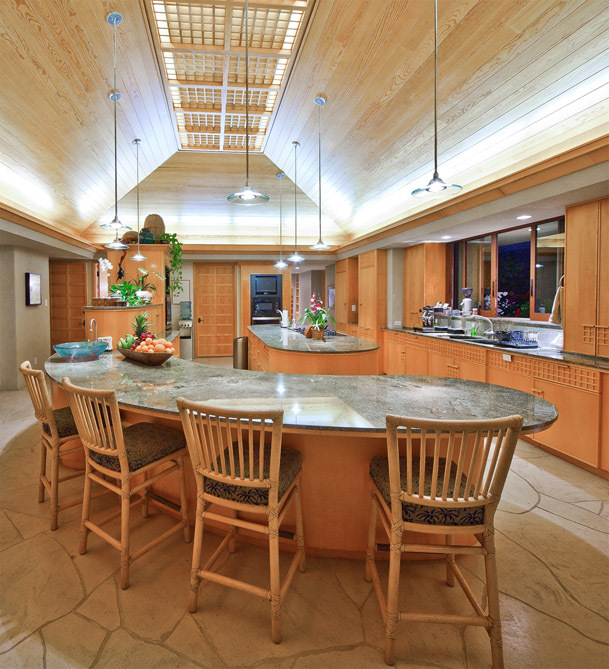 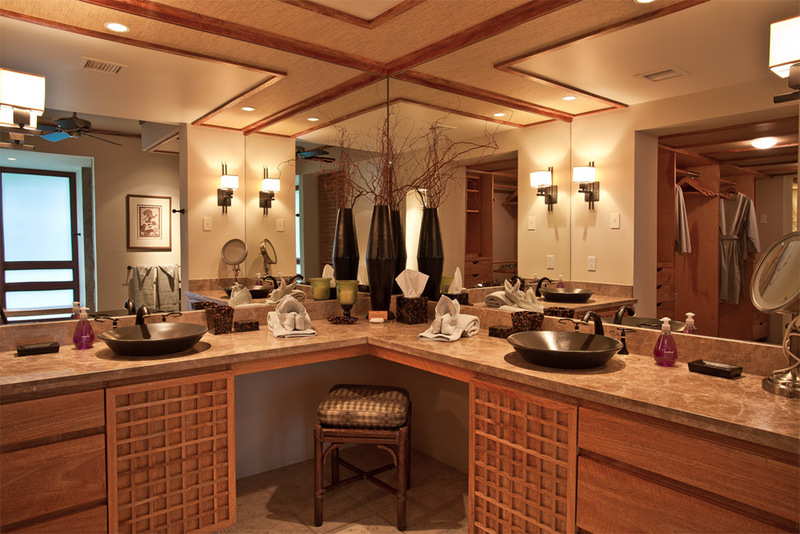 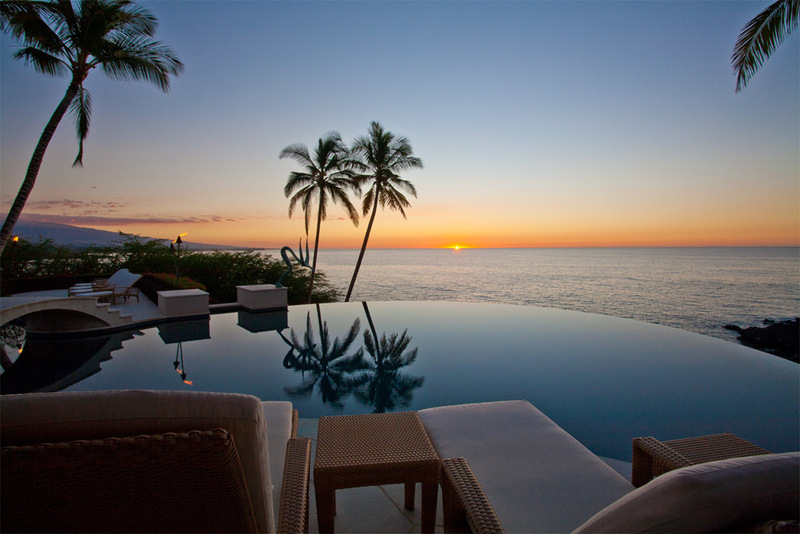 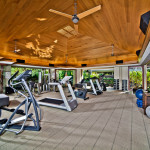 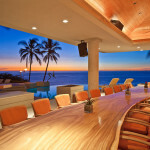 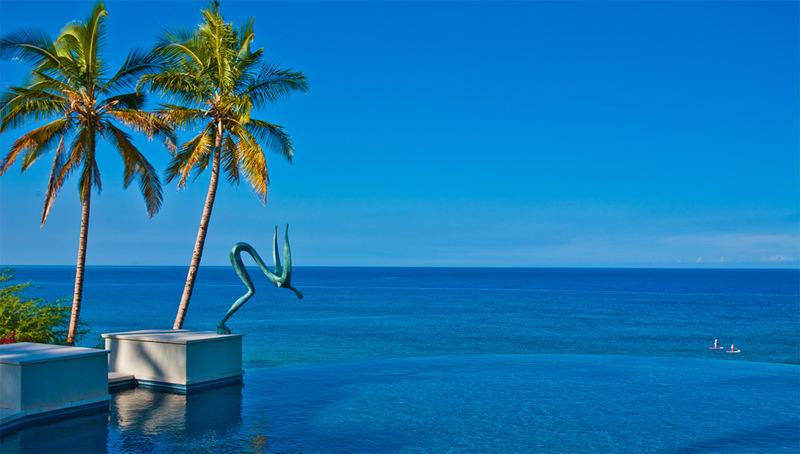 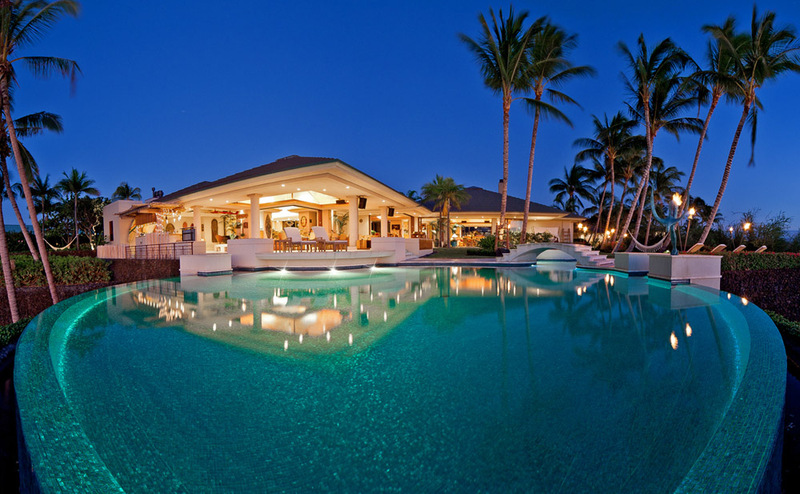 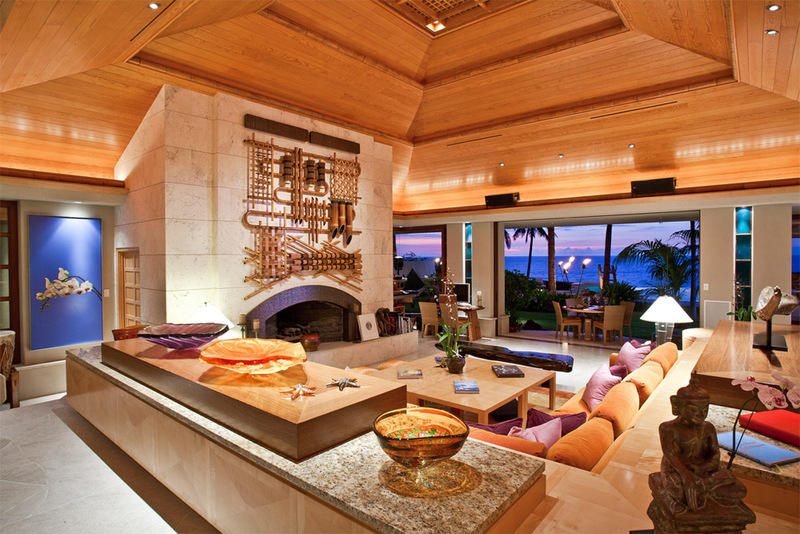 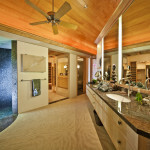 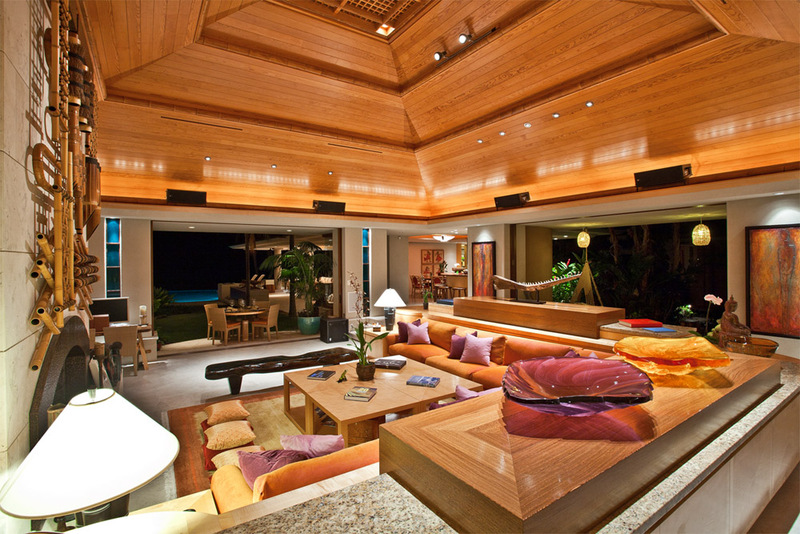 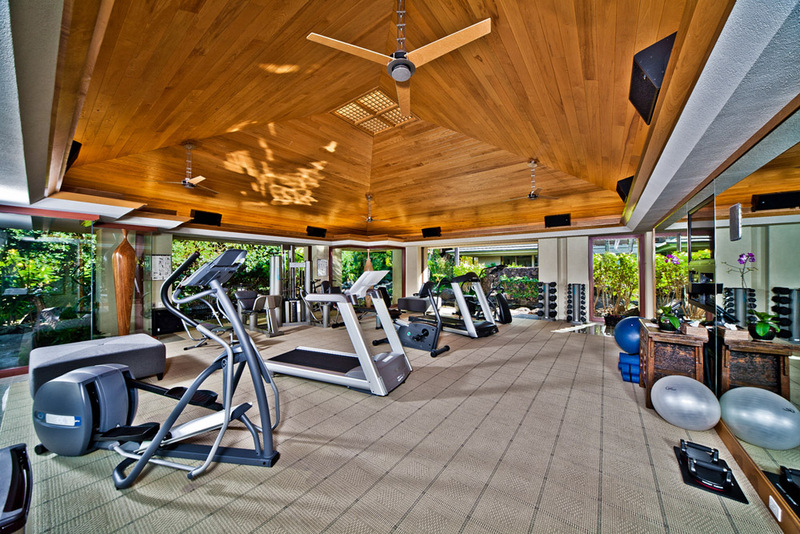 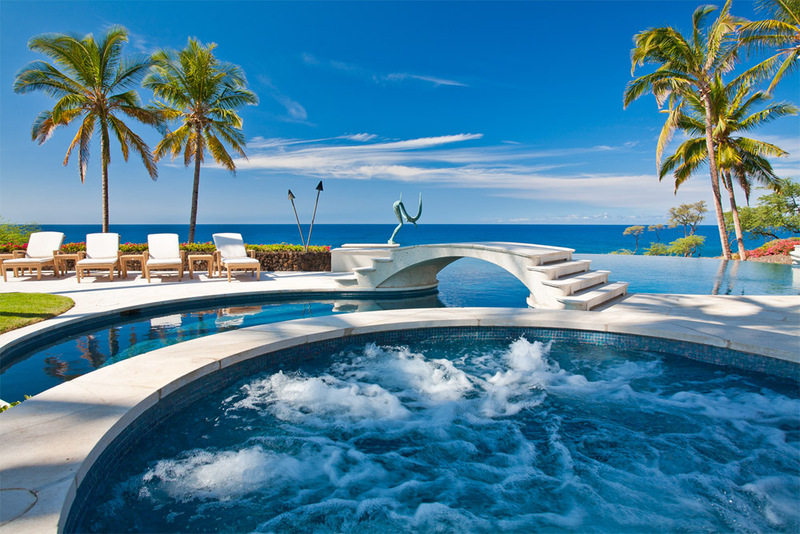 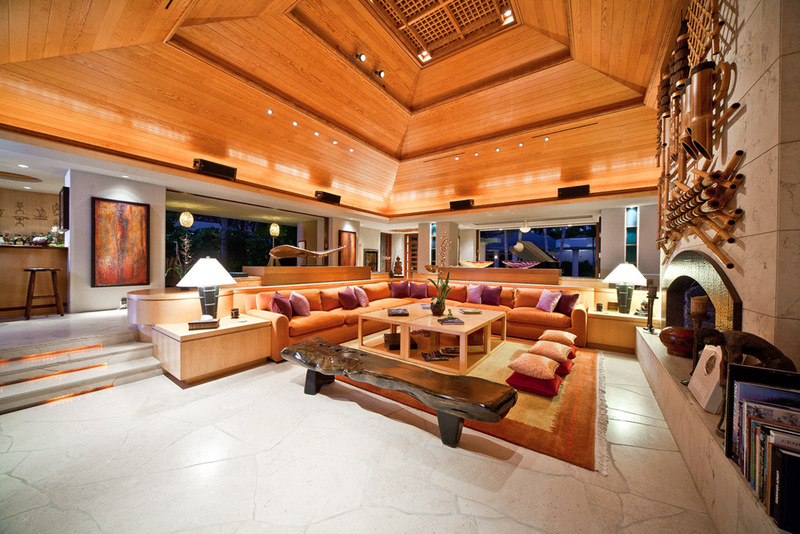 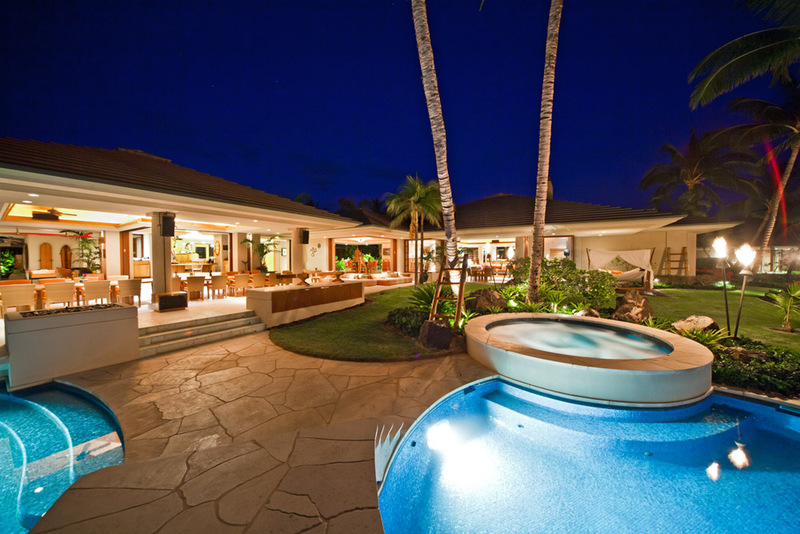 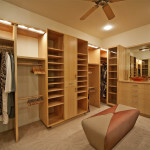 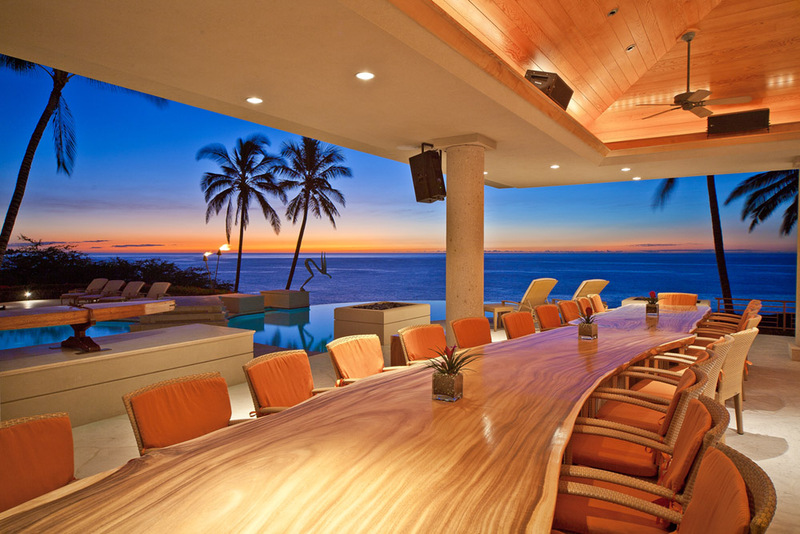 An architectural masterpiece, Oceania is the largest residential retreat in Hawaii. 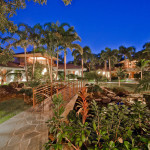 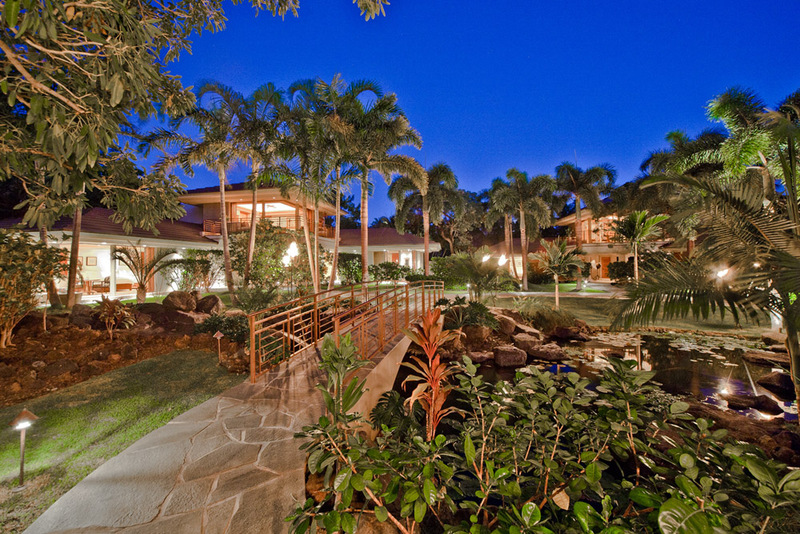 This premier estate property is second to none in its size, seclusion and elegant style. 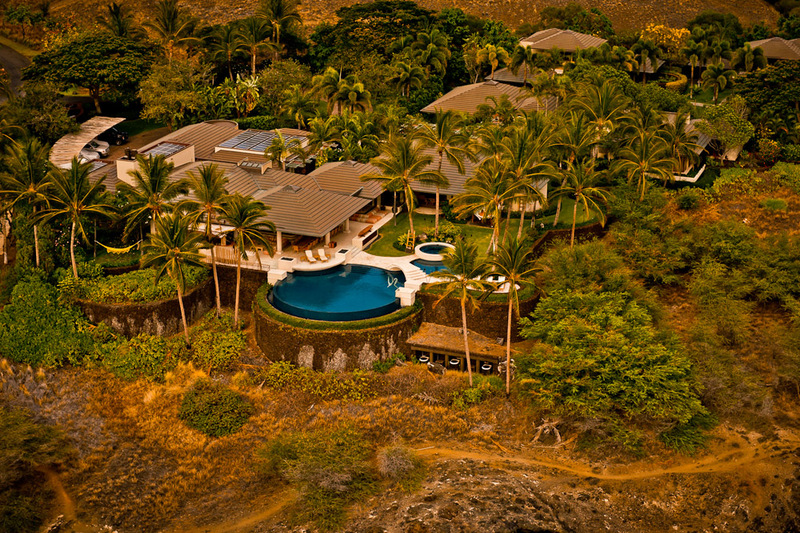 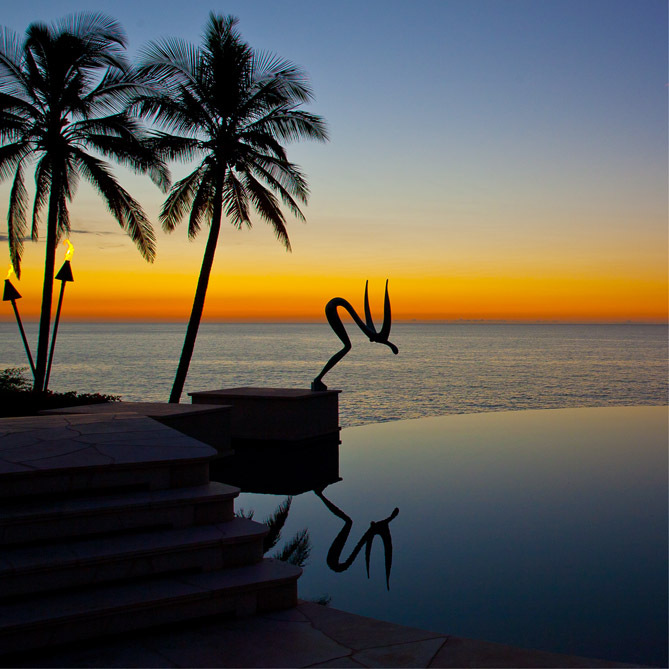 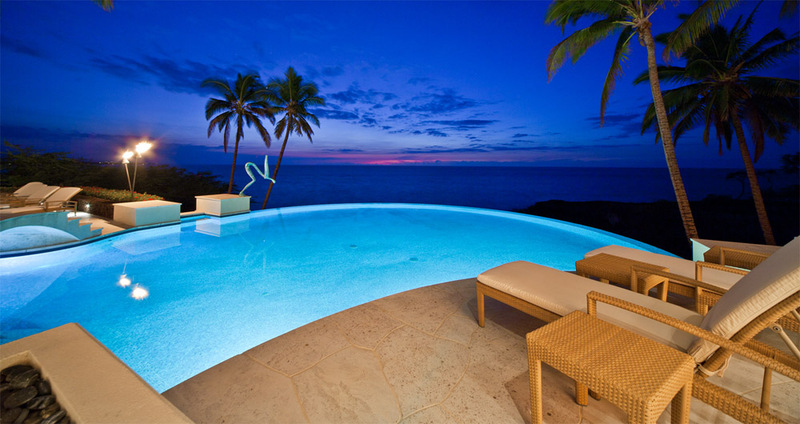 Spread over 2.57 oceanfront acres, this island-style compound was designed to provide privacy for public personalities, corporate meetings, or extended multi-generation families. 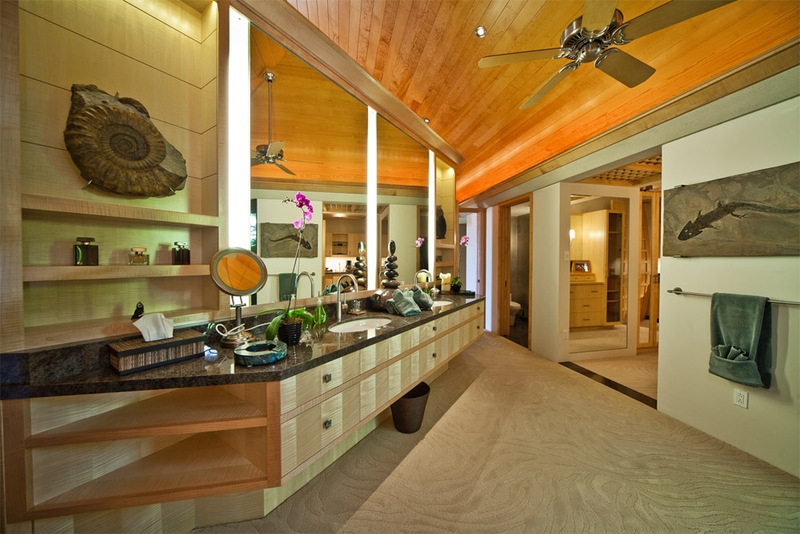 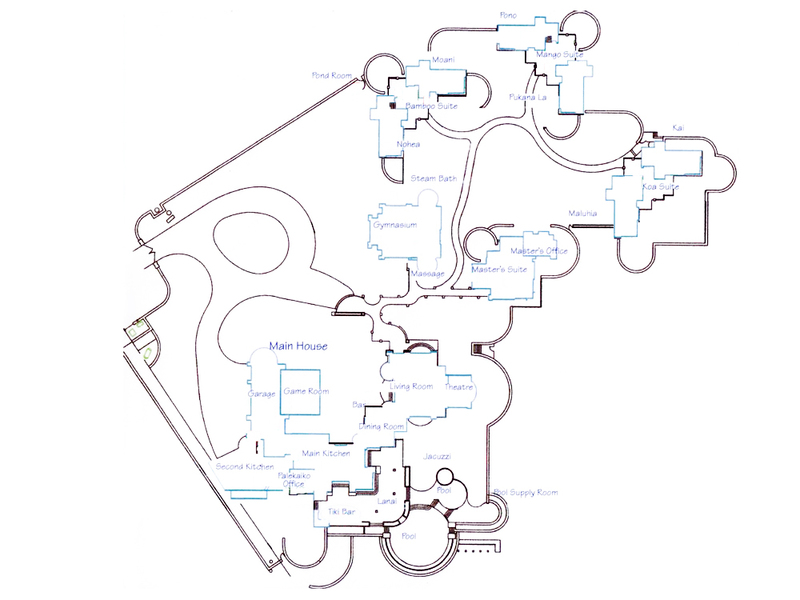 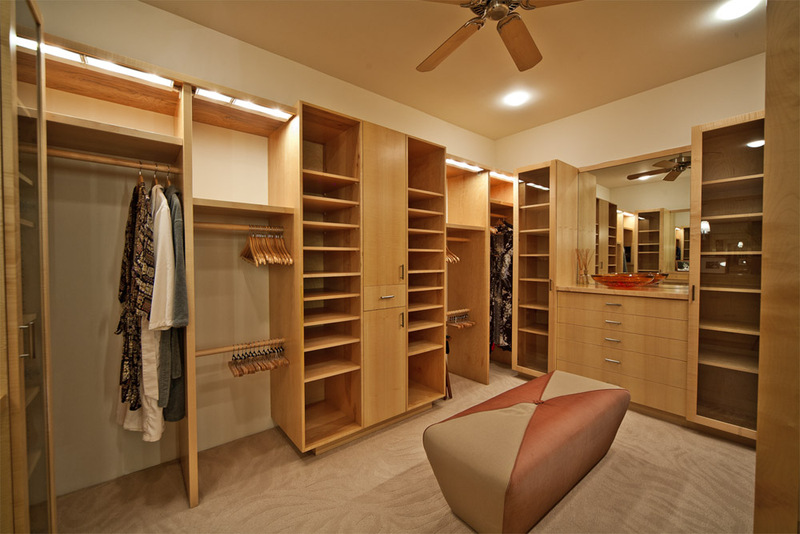 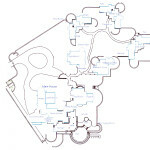 The sleeping, living, dining, cooking, and relaxation rooms are thoughtfully placed in separate buildings that spread over more than 21,000 square feet. 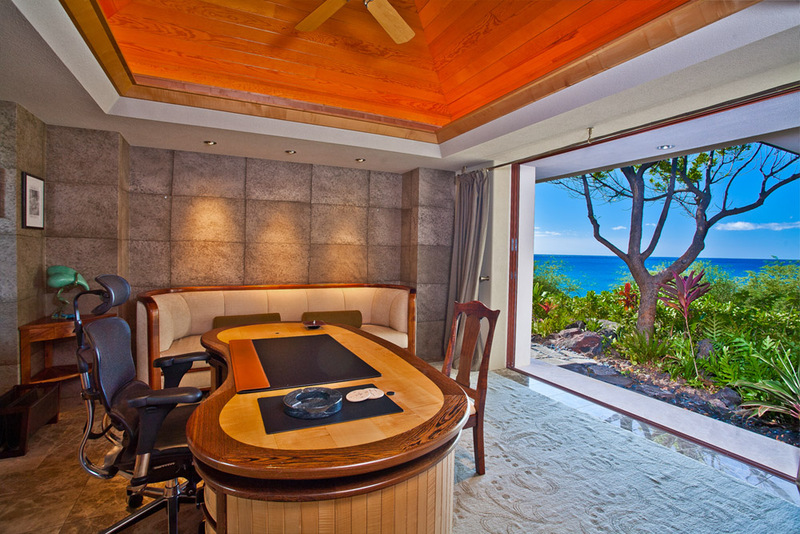 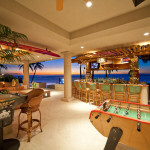 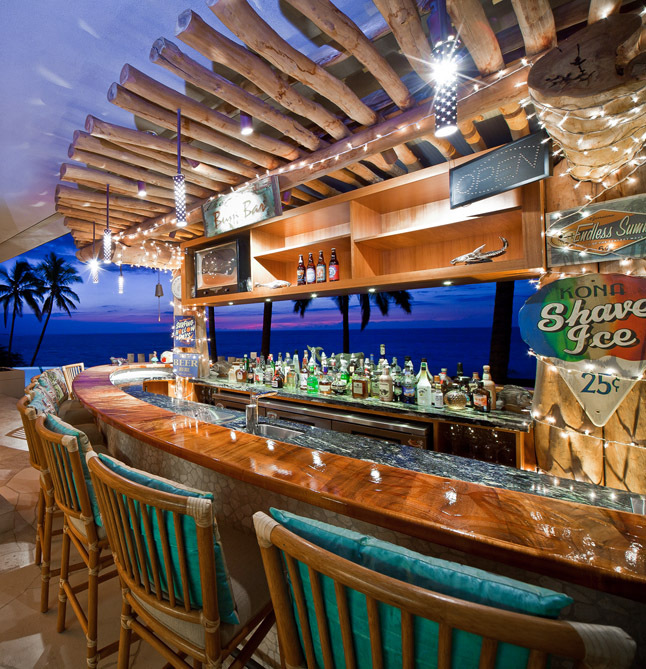 Specialty Items: Multiple Chef’s Kitchens, Heated Swimming Pool, Expansive Fitness Center, Steam Room, Home Theatre, Yamaha Piano, Oceanview Bar, 10 En-suited Bedeooms, 18 Televisions with DirectTV, Golf Cart.